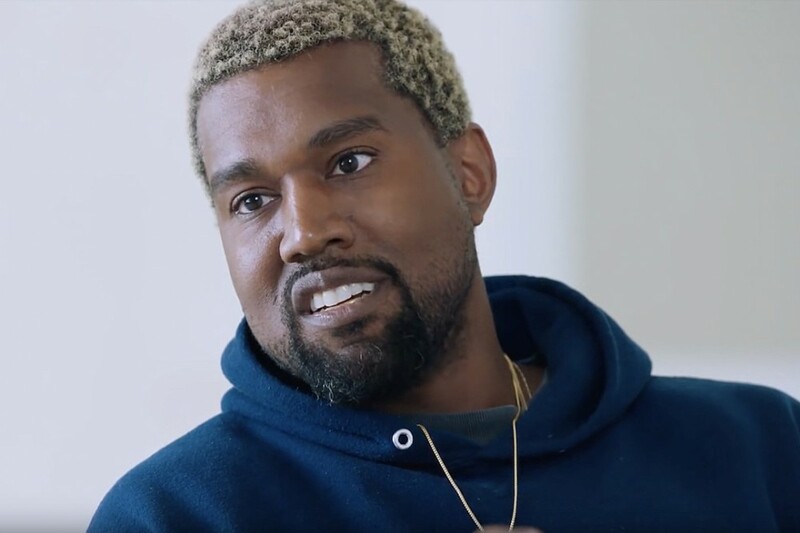 Kanye West has been relatively quiet since he headed back to the Wyoming mountaintop earlier this month, to finish up work on his forthcoming projects. But yesterday, he went on Twitter and shared a video of himself working on a drum beat, and in the background you can see white boards with the tracks from the albums he&apos;s about to release. Most prominently, his joint album with Cudi can be seen, Kids See Ghosts. As of now, the album appears to include the tracks, "Feel the Love," "Ghost Town," "ReBorn," and the title track among others. The album will reportedly also come along with a short film and is due out on June 8. Other white boards show Kanye&apos;s solo album will include songs called "Extacy" and "Wouldn&apos;t Leave"; Teyana Taylor&apos;s will include tracks like "Hold On" and "3 Ways"; Nas&apos; album opener appears to be called "Everything"; and Pusha T&apos;s project will feature titles such as "Sociopath," "Games We Play," and "Infared." Kanye has previously said Pusha&apos;s oft-delayed project will finally drop on May 25. Kanye has also previously explained that all the albums will feature only seven tracks. You can check out the clip below.